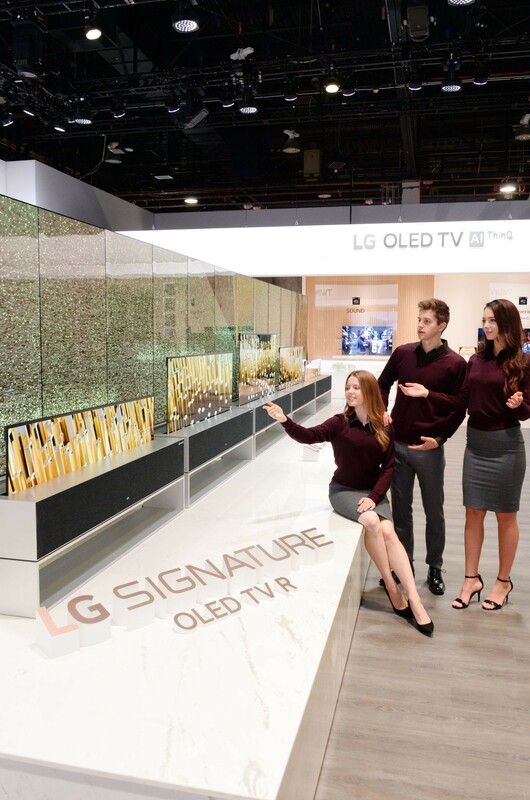 LAS VEGAS, Jan. 7, 2019 — LG Electronics (LG) is defining the next generation of televisions at CES 2019 with the introduction of the world’s first rollable OLED TV. The LG SIGNATURE OLED TV R (model 65R9) redefines the definition of TV with a variable form factor only made possible by the company’s industry-leading OLED technology. More than a demonstration of engineering prowess, LG’s breathtaking product boasts picture and sound quality that is second to none, all in a form factor that gives home TV viewers infinite possibilities in designing their perfect viewing space. Since the start of the modern era, television screen sizes have steadily increased in size as resolution improved and consumers demanded a more immersive viewing experience. The trade-off came in the form of a large, black rectangle that dominated the room when the TV was not in use. Even more advanced projection TVs have never been able to deliver the contrast or the deep blacks that consumers demanded. In an effort to make large TVs less conspicuous, manufacturers have been racing to create even slimmer screens, focusing on designs that were as unobtrusive as possible. With the introduction of last year’s LG SIGNATURE OLED TV W, LG stripped away the traditional concept of a TV, focusing on the simplicity of the screen. 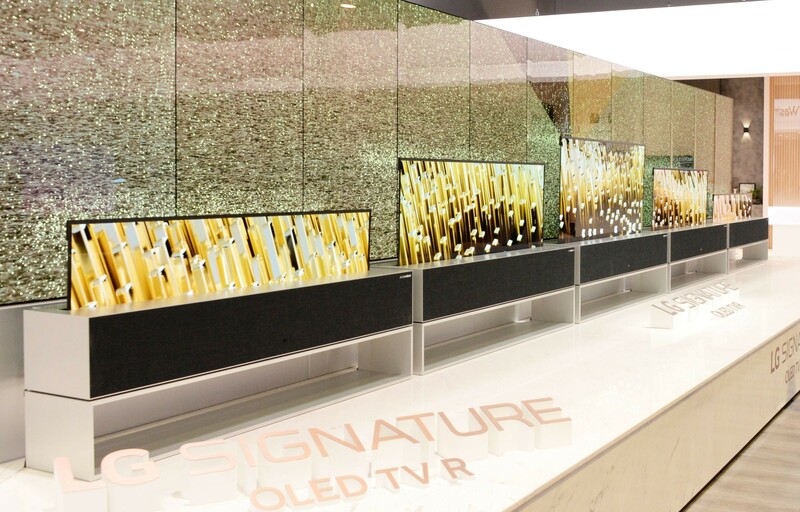 Dubbed the wallpaper TV, LG proved that a TV could deliver performance, subtlety and beauty all at the same time. LG’s latest effort takes this achievement to a whole new level. LG has created a TV with a display that seems to magically appear and disappear, a revolutionary innovation that seems to defy logic. 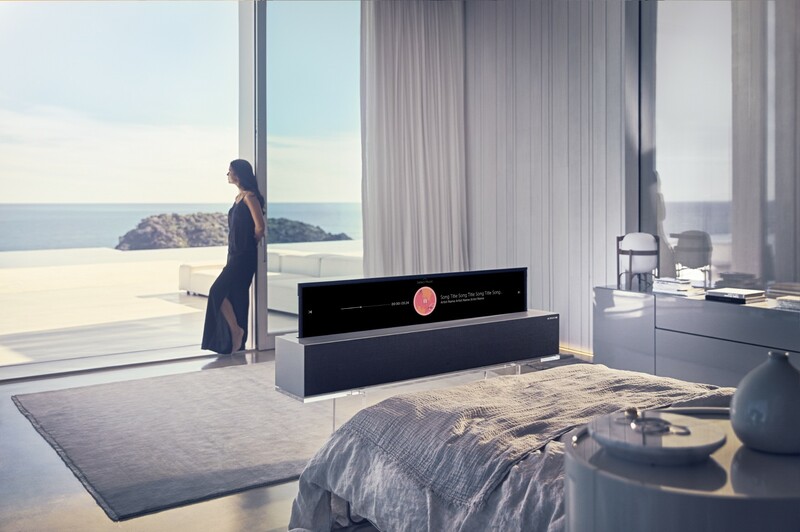 The “R” in the new LG SIGNATURE OLED TV R is about creating a revolution in home entertainment and redefining space through its ability to rise and roll-up at the touch of a button. 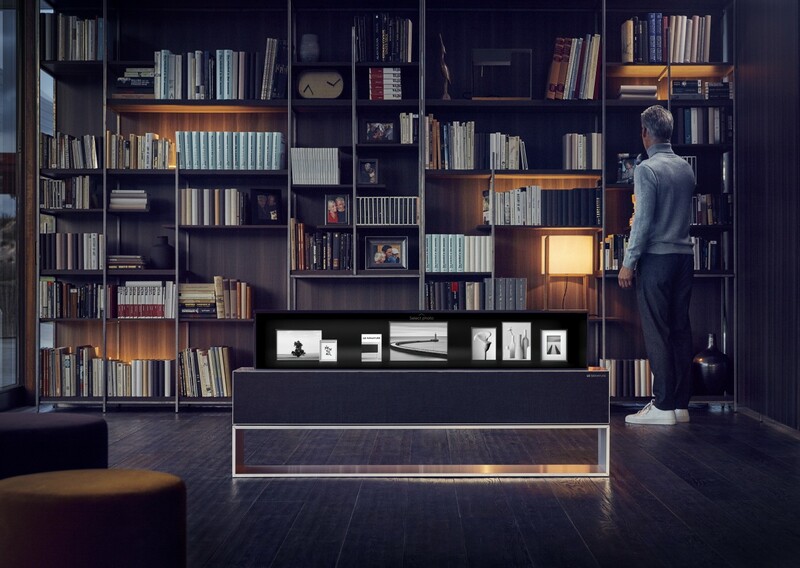 A rollable OLED TV is a true game-changer, liberating users from the limitations of the wall and freeing them to curate their own personal space which no longer needs to be reserved full time for TV viewing. 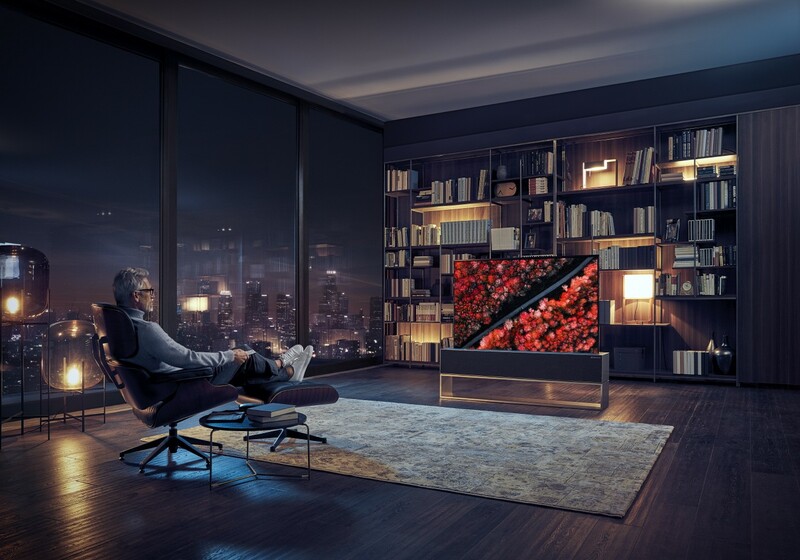 The fact that LG SIGNATURE OLED TV R can transform itself to offer three different viewing options – Full View, Line View and Zero View – allows customers to use the TV in ways that were impossible before the development of OLED technology. Full View delivers a large-screen viewing experience revealing the full extent of the contrast, depth and realism that has become synonymous with all LG TVs. 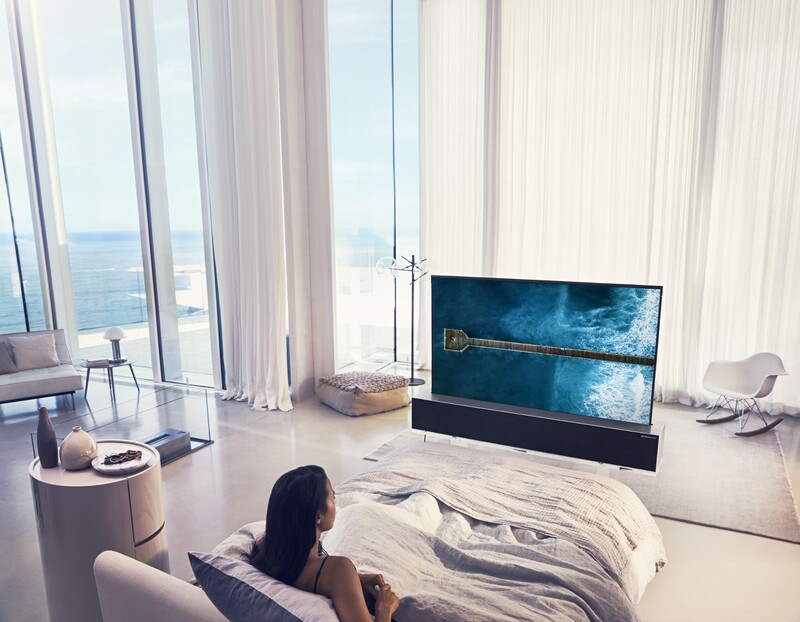 The remarkable AI picture and sound quality powered by LG’s second generation α (Alpha) 9 intelligent processor and deep learning algorithm puts this breathtaking TV in a class of its own. Users can use their normal voice to get things done with Amazon Alexa, a new addition to LG’s AI TV lineup in 2019, as is support for Apple AirPlay 2 and HomeKit. With support for AirPlay 2, users can easily play videos from iTunes and other video apps, music, photos and directly from their Apple devices to their LG SIGNATURE OLED TV R. With Apple HomeKit support, customers will be able to control their LG TV using the Home app or by asking Siri. 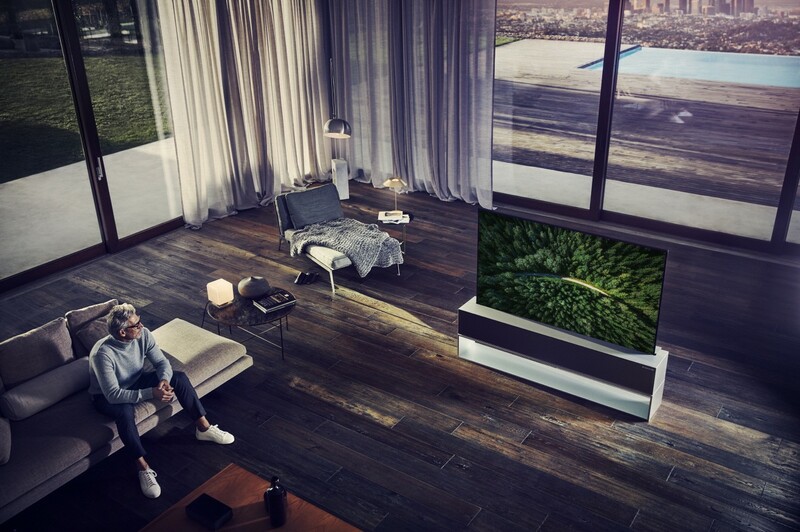 Line View allows the LG SIGNATURE OLED TV R to be partially unrolled, allowing for management of specific tasks that do not require the full TV screen. In Line View, users can choose from features such as Clock, Frame, Mood, Music and Home Dashboard. Invoke Clock mode to check the time and weather at a glance or Frame mode to enjoy family photos shared from a smartphone or Mood mode to create a more relaxing atmosphere. 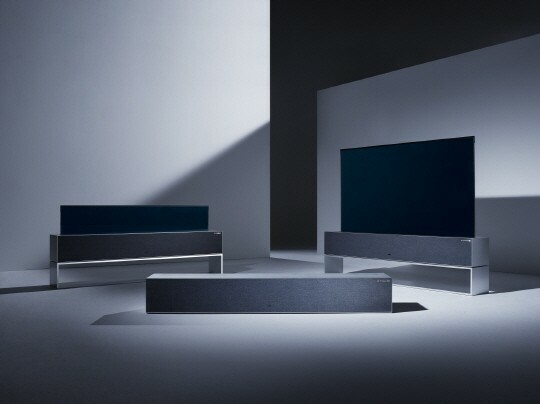 When in Zero View, all 65 inches of the LG SIGNATURE OLED TV R is hidden from view, tucked away in the base. 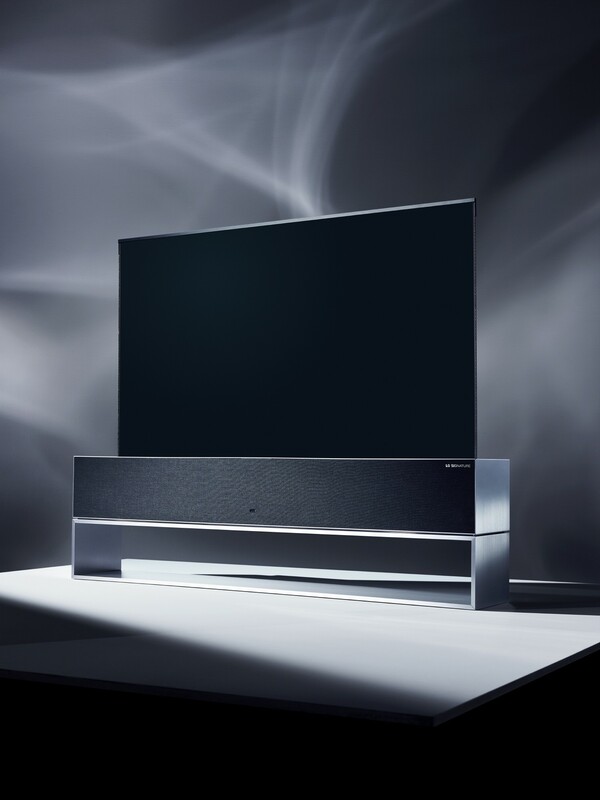 Even in Zero View, users can enjoy music and other audio content which emanate from the 4.2-channel, 100W front-firing Dolby Atmos audio system. The premium bloodline is clearly evident in the entire unit, from the brushed aluminum casing to the quality wool speaker cover designed by Kvadrat of Denmark. 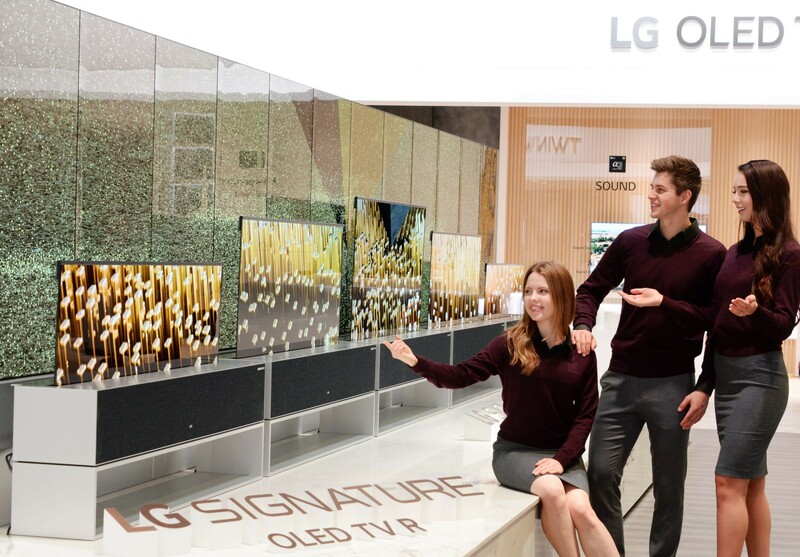 Visitors to LG’s booth (LVCC Central Hall #11100) during CES 2019 from January 8-11 can experience the new LG SIGNATURE OLED TV R for themselves.